Winner of the 2008 BF and Helen E Dewel Award! 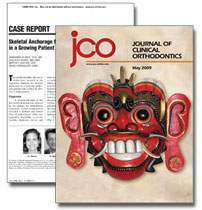 Presented by the Editorial Board of the American Journal of Orthodontics and Dentofacial Orthopedics. This annual award recognizes the best clinical paper published by the AJO-DO.